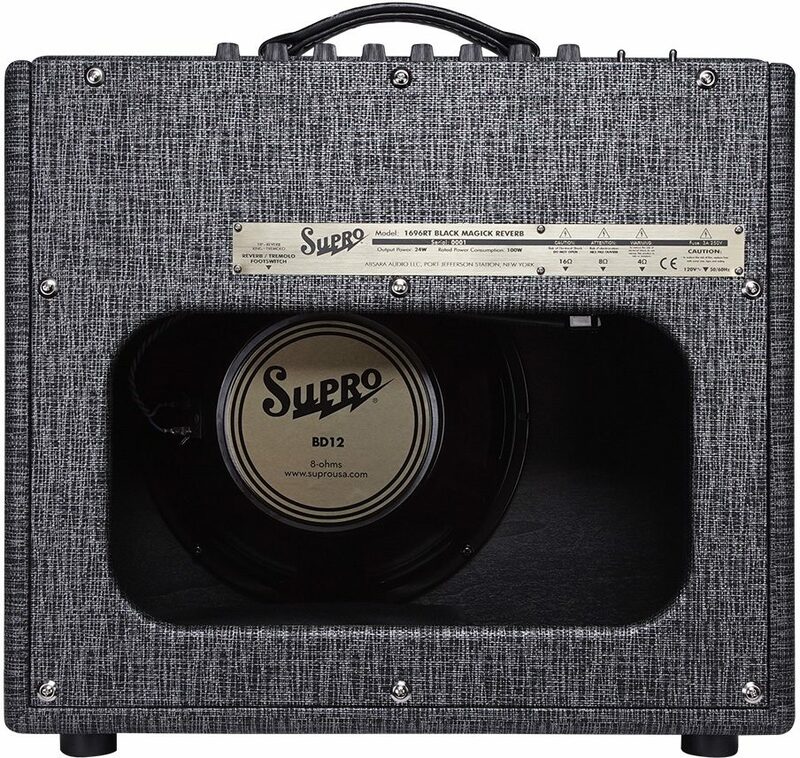 The Black Magick Reverb amplifier adds artist-requested features to the award-winning recreation of the vintage Supro amp loaned by Jimmy Page to the Rock and Roll Hall of Fame Museum. Developed in collaboration with Lenny Kravitz, the Black Magick Reverb captures the mid-range grind and signature sound of the original model--while adding all-tube reverb, 2-band EQ and a master volume knob for maximum flexibility. The amp is available as an all-tube head or in a 1x12 combo format. Much like the original Black Magick, the reverb version features two independent preamp channels that can be linked together using the 1&2 input jack to obtain the fattest possible tone. Additional gain has been added to both preamp channels in the Black Magick Reverb, while the dual-gang, single-knob tone control from the non-reverb model has been reconfigured with separate treble and bass knobs for a wider range of possible sounds. The Black Magick Reverb's 6-spring reverb pan is driven by both channels and then summed with the dry signal just before the master volume control. An updated, tube-based LFO circuit provides bias-modulated output tube tremolo with double the speed range of the original Black Magick. The output stage of the Black Magick Reverb is based on the same Class-A power amp as the non-reverb model, utilizing a matched pair of 6973 tubes and a custom-made Supro output transformer with 16-ohm, 8-ohm and 4-ohm output options. The combo version of the Black Magick Reverb features the same, custom-designed 12" BD12 speaker found in the original Black Magick combo. 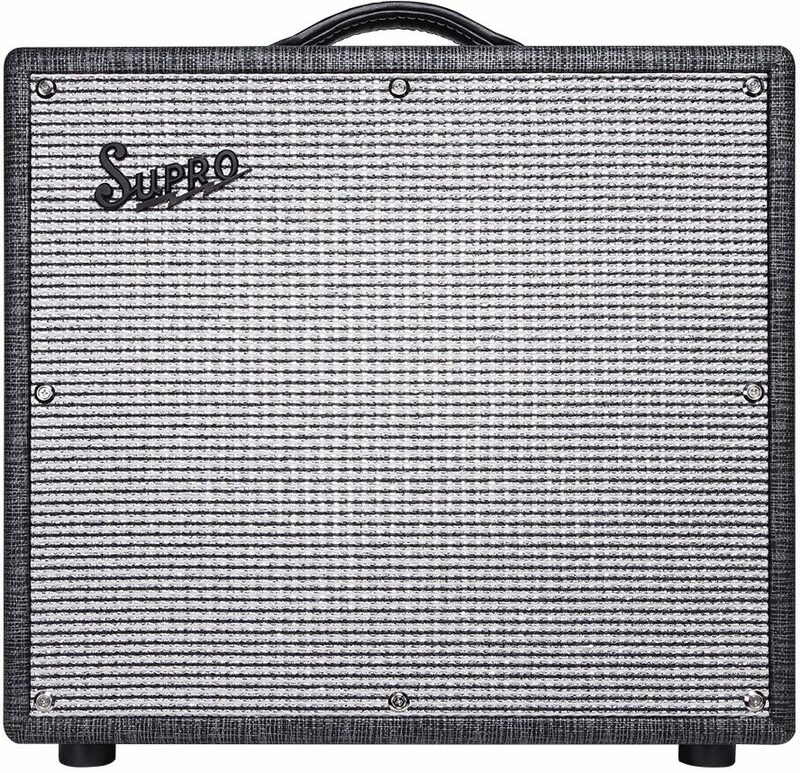 Standalone 1x12 and 1x15 extension cabinets can be used with both the head and combo versions for a huge stage sound and the undeniable rock & roll flair of Supro's Black Rhino Hide tolex. zZounds is an authorized dealer of Supro products.